NBC network has offered an apology for tampering with the tape of the 911 call made by George Zimmerman, the self-confessed killer of the 17-year-old African American teen Trayvon Martin, which misleadingly made him sound racist. NBC was widely panned for omitting a certain portion of the emergency call that the neighborhood watch member Zimmerman placed with the Sanford, Florida, police on Feb. 26, prior to fatally shooting Martin. Zimmerman called the police to report Martin's activities which he perceived as suspicious and said, This guy looks like he's up to no good. Or he's on drugs or something. It's raining and he's just walking around, looking about, during the call. The dispatcher responded by asking, OK, and this guy - is he black, white or Hispanic? to which Zimmerman replied, He looks black. However, during a broadcast recently on the Today show, NBC left out the dispatcher's question, as well as a good chunk of Zimmerman's explanation, abbreviating the conversation like this: This guy looks like he's up to no good. He looks black. The unwarranted editing drew widespread criticism, forcing NBC to apologize. The network put the blame for the gaffe on its production team. During our investigation it became evident that there was an error made in the production process that we deeply regret, NBC said in a statement sent to The Hollywood Reporter on Tuesday. We will be taking the necessary steps to prevent this from happening in the future and apologize to our viewers. However, the network declined to comment when asked whether people responsible for the error were reprimanded. This isn't the first time that the press has been criticized for manipulating the controversial story, reeking of racist overtones, to exploit its sensational value. The media has been accused of using a several-years-old image of Martin, in which he looks like an innocuous-looking smiling adolescent. On the other hand, Zimmerman was shown wearing a jail uniform in a mugshot that is seven years old. Both of them have obviously undergone changes, with the 6-foot-tall Martin sporting gold teeth, while Zimmerman looks more polished in appearance. Media watchers say that controversial crimes and stories with greater repercussions most often undergo media scrutiny to such an extent that mediapersons tend to get judgmental and decide the victim and the aggressor even before a judicial trial begins. A University of Texas student newspaper had recently fired one of its staff members over an editorial cartoon addressing the incident. In the controversial illustration, a mother wearing glasses is shown holding a story book, sitting on a chair labeled the media, reading to a curious young child. The book is titled Treyvon Martin and The Case of Yellow Journalism, with Trayvon's name misspelled. The mother reads to the child and then...the big bad white man killed the handsome, sweet, innocent colored boy. The cartoon, intended to showcase the biased media reports on the incident, drew heavy backlash from readers who called it racist. The use of the term colored didn't help the cartoonist much either, despite the fact that National Association for the Advancement of Colored People (NAACP) still uses the term. 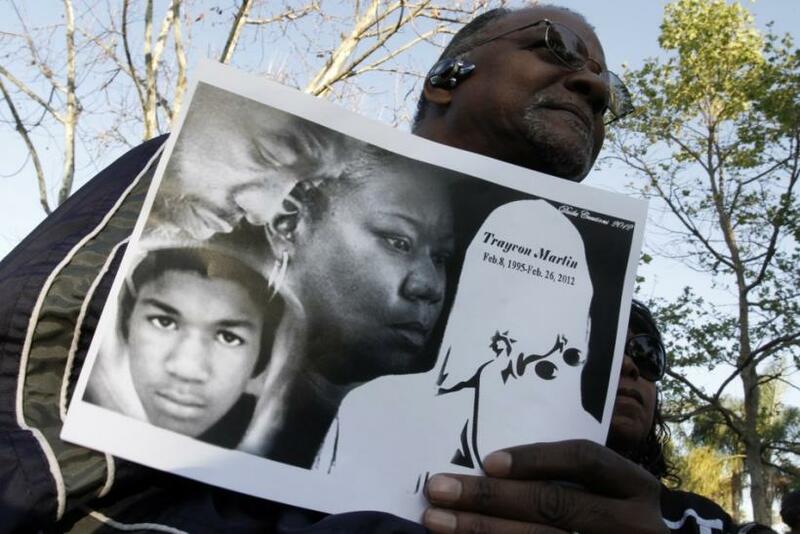 Zimmerman, a Hispanic American, shot Trayvon on Feb. 26 in Sanford, Florida, claiming that he acted in self defense. However, Martin's parents and lawyers insist that the shooting was racially motivated, a claim that a significant section of American people tend to believe, with President Obama saying that if he had a son, he'd look like Trayvon.